On Tuesday, March 18 at 8 p.m. ET on ABC, you are invited to join not only stars from the Marvel Cinematic Universe, but also celebrity fans, filmmakers and pop culture icons for a world premiere primetime event. 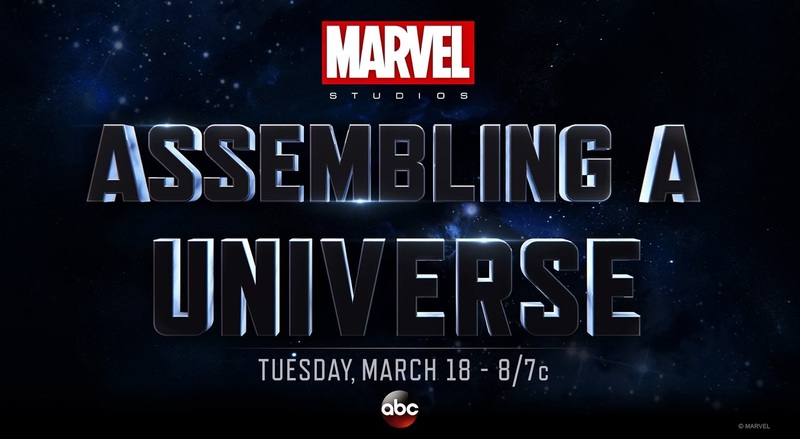 This exclusive documentary, "Marvel Studios: Assembling a Universe," will allow audiences to be "taken further into the Marvel Cinematic Universe than ever before, offering viewers a front row seat to the inception of Marvel Studios, the record-breaking films, the cultural phenomenon, and further expansion of the universe by Marvel Television." The one-hour special airs on ABC on Tuesday, March 18 at 8 p.m. ET.